We lust after sugar like it’s going out of fashion. This is exactly what the anti-sugar lobby hopes to achieve, but the challenge is enormous. Sugary drink is hard to resist because we still have Stone Age brains, according to evolutionary biologists. Our inner caveman has to stock up in case there’s nothing left tomorrow. But there is no such scarcity problem today. Sugar should be 5% of our daily energy, says the Scientific Advisory Committee on Nutrition. British adults eat and drink twice that amount, schoolchildren 3x, and 29% of it comes from sugary drinks. This is helping to make us fat, the fattest in Europe in fact: 1 in 4 British adults are obese, compared to 21.3% of Germans. This is a problem for the poor especially. When our parents were young, poor kids were thin. Now they’re fat, in part because sugary food and drink are so visible and so heavily price-promoted – twice as much in the UK as in Germany (PHE: Sugar Reduction: The Evidence for Action, 2015). This is fast becoming a global problem as the rest of the world copies western habits. In Africa the number of obese children has doubled since 1990 (World Health Organization: Ending Childhood Obesity, 2016). In 1980 fewer than 1% of Chinese adults had diabetes. Now it’s over 11% (AsianScientist 2014). The anti-sugar lobby hopes that UK regulation will control sugar consumption through several different interventions. Not just the new sugary drink tax that goes live in 2018 but wider tax levies on food, limits on marketing to children and price promotion. Fat means more heart disease, more type 2 diabetes, more cancer. This is expensive as well as tragic: obesity already costs the NHS (National Health Service) £5 billion a year, and Action on Sugar, a campaign group, believes this will rise to £50 billion by 2050. The UK government’s ‘Childhood Obesity Strategy’ is eagerly awaited, but its direction is hard to predict. The government is torn between supporting the food and drink industry while also making good policy to reduce obesity. In January Public Health England’s ‘Change4life’ campaign led to a million downloads of the ‘sugar smart’ app, which reads barcodes and shows how much sugar you’re about to drink or eat. 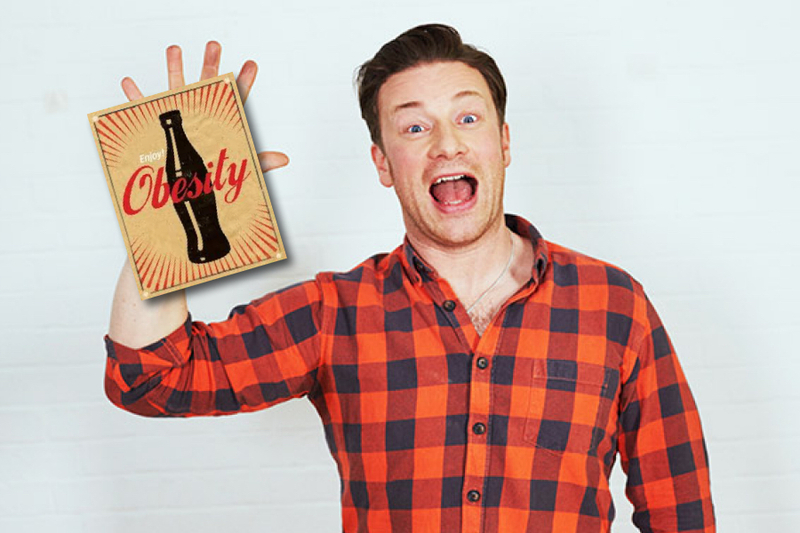 Its budget (£10 million) is tiny compared to the might of Coke and others, even with the public support of chef Jamie Oliver and his 2015 TV documentary, Sugar Rush. Coca-Cola sells 1.9 billion servings a day worldwide and will spend over $6 billion on ads this year (CNN Money, 19 January). 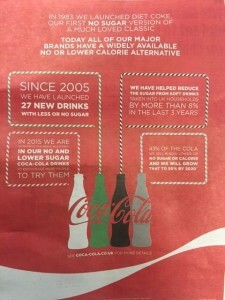 Coke’s response is an orderly retreat from sugar or ‘managing the tail’, to borrow a phrase from pharma: reducing sugar content at a speed that allows it to find new revenue from elsewhere. 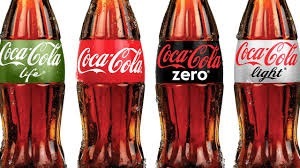 Alternatives include its growing portfolio of other products (3,000 in 2015, said Coca-Cola), and its no/lo calorie cola variants which have had mixed success. So ‘Taste the Feeling’, the new global campaign, carries the hopes of Coca-cola. It’s a charm offensive on three fronts: communicating all 4 colas together to consumers, convincing the trade to sell all 4, and persuading public opinion that Coke is doing everything possible to reduce sugar consumption, while a huge public relations exercise explains its good work in sustainability, health and social enterprise, and a growing budget for lobbying (especially since 2009) aims to reach anyone who remains unconvinced (see chart from the US Senate Office of Public Records). All this makes commercial sense. Coke’s leaders must think in logical, instrumental terms, choosing tactics that preserve revenue but do not harm its reputation. Like any public company, Coke must balance the changing tastes of consumers with the expectations of its shareholders: no easy task and Coke tells a persuasive story about itself as a model citizen. But something doesn’t smell quite right here. I detect a whiff of cigarette smoke. After tobacco advertising became illegal in Britain, ‘Campaign’ magazine’s letter of the year (from a marketer) urged marketers to be braver the next time there was overwhelming evidence that a product was harmful. Many readers agreed. The creatives and planners and executives had found ever more ingenious ways to promote tobacco, knowing in their hearts that they were helping to make something poisonous irresistible. They had chances to regulate themselves but stopped only when the law finally said ‘No more!’ There are, of course, at least two big differences between tobacco and sugar. One: sugar can be part of a healthy life and tobacco cannot. 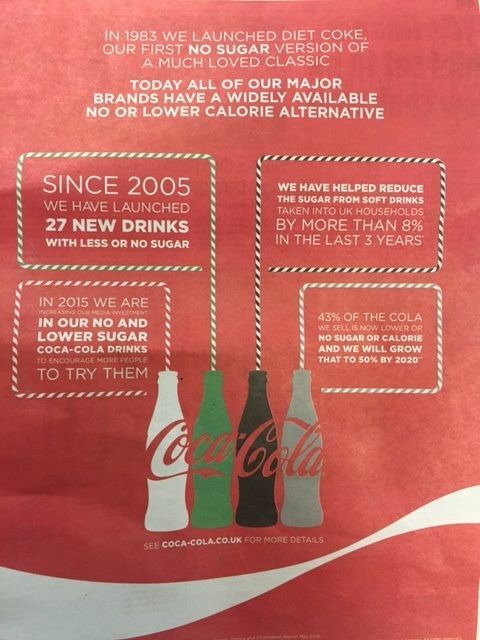 Two: no single solution will fix obesity, so to victimise Coke is to misunderstand what makes us fat. But I want to suggest one similarity. Choice and information. Not really! Tobacco companies argued that smokers must take responsibility for their fate because they knew tobacco was dangerous. Coke’s strategy is to provide good information and clear choices to help people ‘make the right decisions for them and their families’ (Coca-Cola Great Britain and Ireland, 2015). Great in theory. In practice not credible, because it promotes the illusion that sugary drink choices are conscious and rational. We know, and so does Coke, that choices are strongly influenced by the subconscious. A hundred and thirty years of success have woven Coke into the fabric of billions of lives: ’We make simple, everyday moments more special’, purred Coke’s Chief Marketing Officer Marcos de Quinto last year. 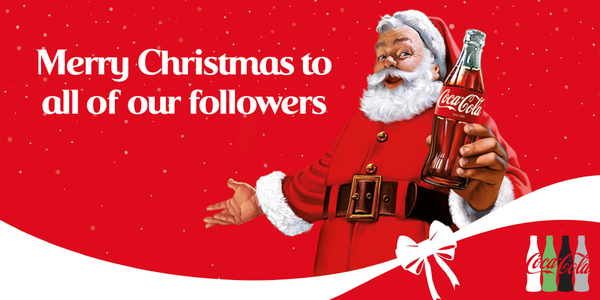 Father Christmas wears red, not green, largely because of Coke. In the supermarket, sugary food and drink scream for your attention all the way to the milk (which is always at the back). Children are especially vulnerable to food and drink marketing. We have all allowed sugar to become so normal that we barely notice it. More cans of sugary drink are sold each day in Mexico than there are people. To repeat, there are big differences between sugar and tobacco. And one similarity: marketers with a perfect story so long as they inspect their conscience through a business case lens. It’s time for regulation. And time for marketers to sit down with their oldest, most honest schoolfriend, and test their story. Previous post: VW: will it contaminate ‘Made in Germany’? Next post: Ready for the Silver Rush?